Last week I shared with you the simple Thanksgiving Table Centerpiece that I recently made for our Thanksgiving Feast. 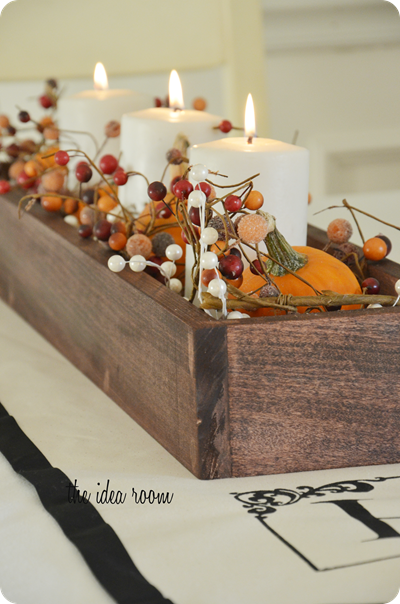 I also shared how to Build Your Own Box for the centerpiece. Did I mention that Thanksgiving is at my house for the FIRST time with our entire family?!! 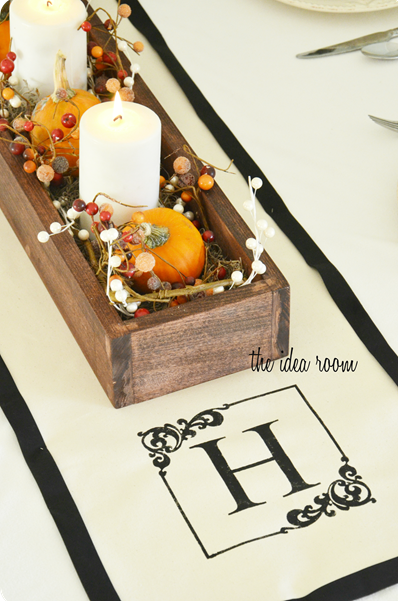 I have the centerpiece covered now but it needed a little something extra, so I decided to make a simple Monogrammed DIY Table Runner. 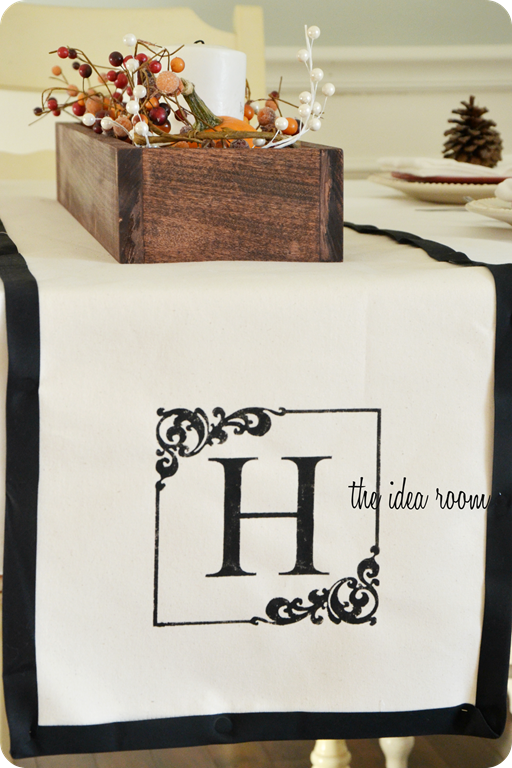 I have ALWAYS wanted a table runner and FINALLY had the perfect excuse to make one. It could not be easier. If you can sew a straight line, this project is for you! I bought 2 yards of burlap, but any heavier fabric like linen or muslin will work too. 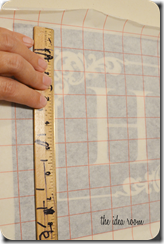 Then measured and cut two pieces…14 in x 88 inches. My table (which actually has not been built yet…long story…more on that later) is going to measure 60 inches square. I wanted the runner to hang over the edge of the table, 14 inches, on each end. So that meant that I needed a total length of 88 inches (60 inches for the table + 14 inches +14 inches = 88 inches). 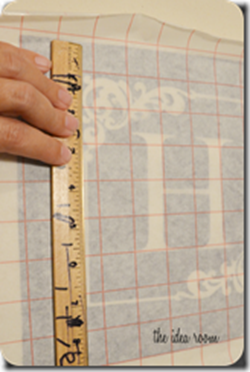 Since everyone has different sized tables, you will need to figure out what length and width you would like your runner to be and plan accordingly. 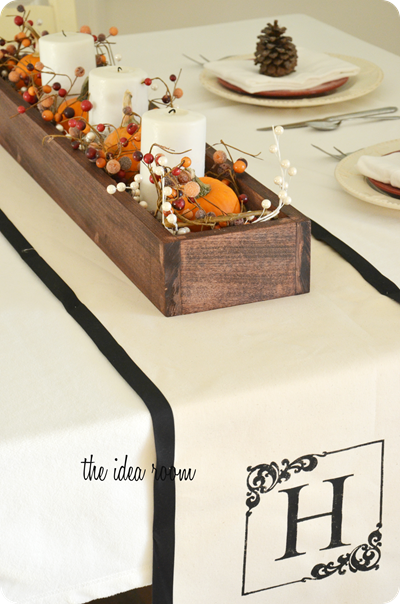 You can also make a table runner that just lays on the table and doesn’t hang over the edge like I show in some of the final pictures. Then I took the two pieces and pinned them together with the wrong side of the material facing each other. Then sew some black (or another color) bias tape around the entire table runner. Now some people freak out about sewing on bias tape. 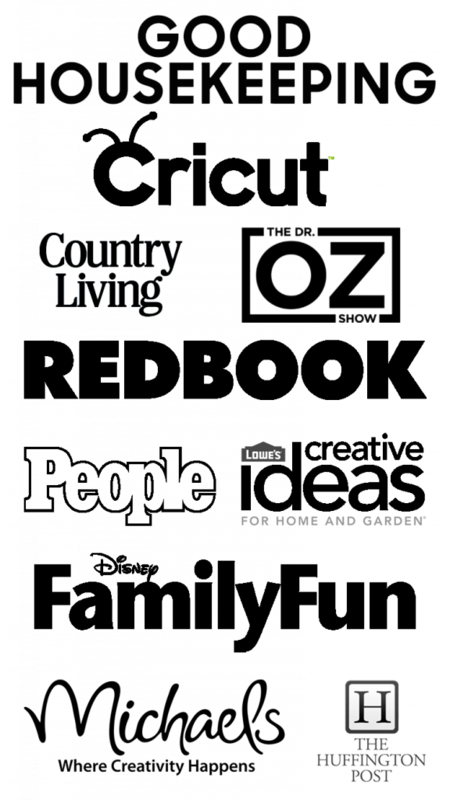 *Here is a little trick that I do that makes it a LOT easier to work with. I don’t actually pin mine on. I sew slowly and put it in the correct place and sew it on as I go. It makes it so much easier for me and it doesn’t pucker. Also, make sure to put the side of the bias tape that is slightly wider on the bottom so you are sure to catch it with the thread. 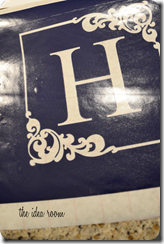 Then I made a simple stencil with my Silhouette Cameo and some vinyl. I cut out two of them to stencil a monogram on each end of the table runner. 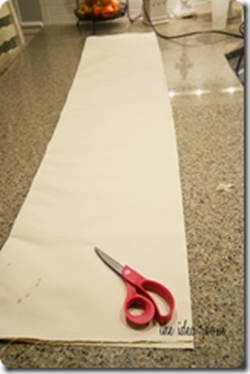 This is another project that you could whip up in an hour or during naptime pretty easily. Now…here is where I fess up to a little secret…I actually have NOT finished this table runner completely. Gasp! But even halfway finished, I am really excited about how it turned out! 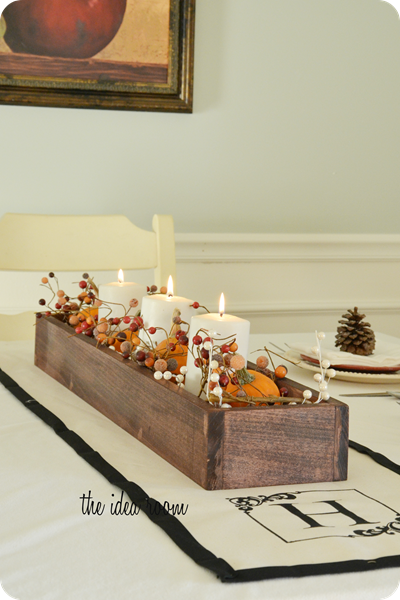 I love how simple it is but it adds a little extra “umph” to your Holiday setting! Oh…and as I alluded to above, we currently do not have a kitchen table that fits our entire family. We have a square table that seats 6 and now that the baby is no longer a baby in a high chair (she’s 5!!) we have to pull out an extra chair to fit us all around. My boys are both now full sized adults and we are running out of room (and food)! We have searched high and low for a table that would fit our odd space and our family. What we have found is way out of our budget…so…we are going to build one. I KNOW!! Think we can do it before Thanksgiving? We will see. Life gets crazy so we are going to have to play this one by ear and see how it goes…! Thanks so much Kate! 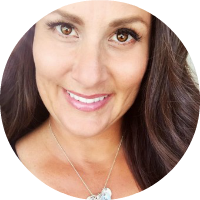 I appreciate you taking the time to comment! I know it is one extra thing to do with our busy lives! It looks fancy and the table is going to be amazing. Thanks Suzanne! Right now the table is a pile of in my garage :)! We have our work cut out for us! But my husband is REALLY excited about this project and that is always a GOOD sign!! So pretty, I love it! If I was your neighbor, I’d bring my machine over for you to use. Alas, I’m a little too far for that! 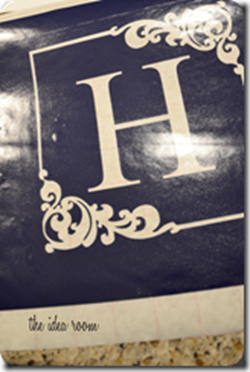 Do you know what image you used in the Silhouette software for the monogram??? 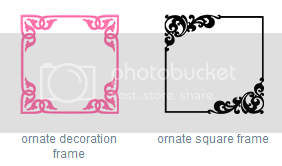 Mairin–I searched square frames and a lot of options came up. These were the two I was deciding on. Thanks for posting which frames you were contemplating using. 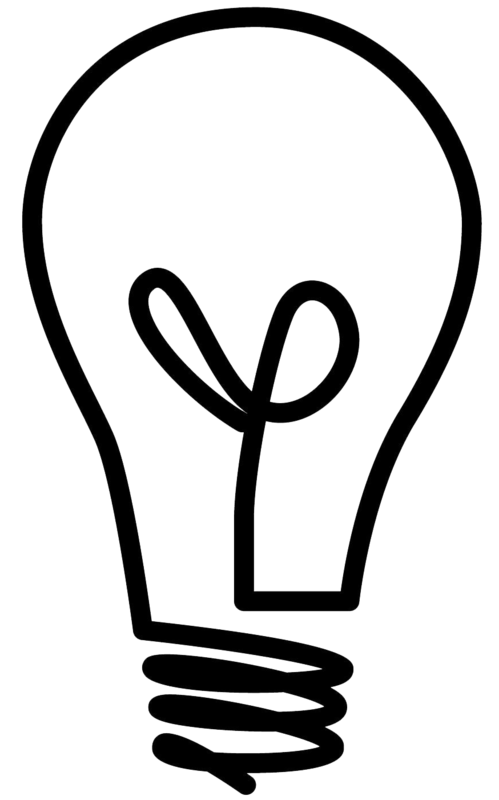 This is such a great project; ideas are swirling around in my head already. What a cute table runner! And I hope you get your sewing machine fixed soon. That’s the worst ever!! Thanks Ashley! It is still not fixed but I ran up to my mom’s and got er done :) Hope you have a great Thanksgiving! 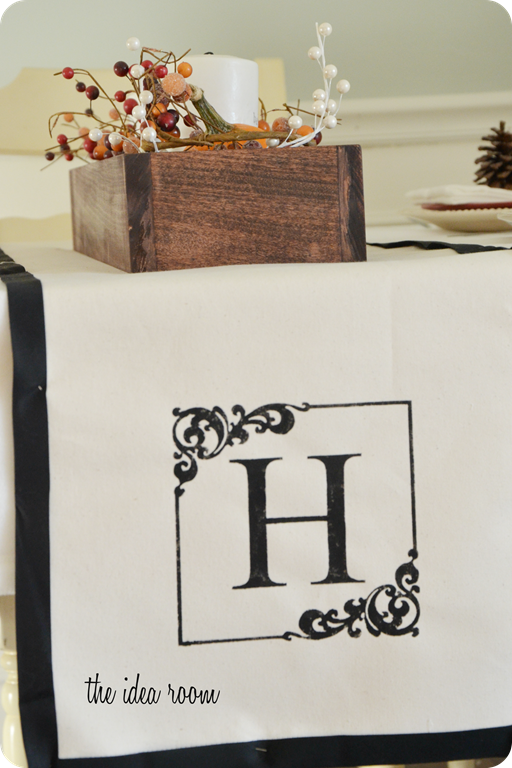 Two things…what did you use to stencil on the fabric? I mean what kind of medium? Also I have a lovely trestle table that I bought from World Market and it was a little over $200 bucks. Seats 12 comfortably…one side we have a bench and chairs around the other side. Check it out!